Does your product enhance the quality of life of our ageing society through technology? 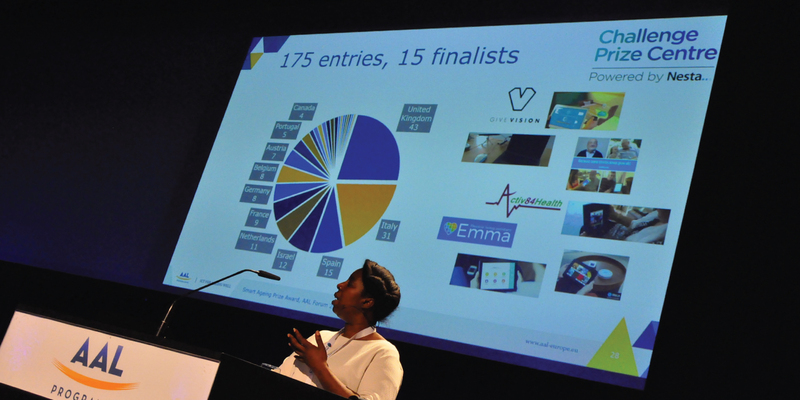 The Smart Ageing Prize was established by the AAL Programme in collaboration with Nesta’s Challenge Prize Centre to find technological products and services that help older people actively participate in a social life. Take a look at the Smart Ageing Prize website for more information on how to apply, the competition process and judging criteria, and previous winners.